Hello from sunny St. Thomas! We’ve had an absolutely fantastic start to the 2017 fishing season. Both our offshore and inshore fishery produced some quality bites over the past couple of months. The winter Wahoo bite tapered off as we entered into February, but in rushed the schools of Mahi Mahi we had been waiting for. 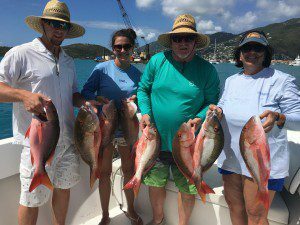 Schools of 20-30lb class fish have begun their spring migration between the waters of St. Thomas and St. Croix, just a few miles off the South Drop. 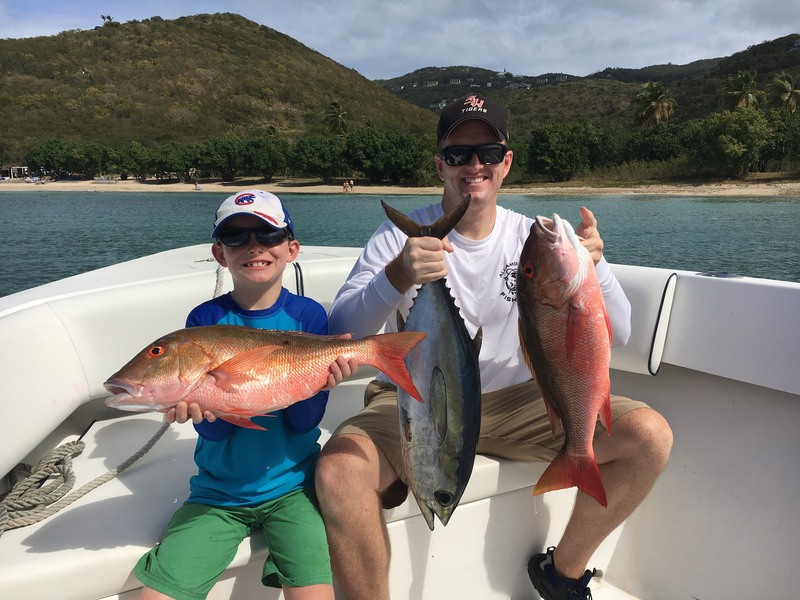 We’ve even gotten some reports of a larger class of Mahi’s being caught on the southside of St. Croix in the last two weeks, a great sign for the upcoming spring offshore bite. We haven’t seen or heard much on the Yellowfin action up to the North Drop, but they should start to show up in the coming weeks. Once that bite starts to take off we highly recommend our 5-hour Afternoon Tuna Bite trip to capitalize on that late-afternoon/evening tunas feeding on the surface. The inshore bite has been consistent overall with Yellowtail Snappers, Mutton Snappers, Kingfish, Barracuda, Pompano and Blackfin Tunas all chewing. The Yellowtail Snapper bite has been historical, many of our local reefs loaded with flag Yellowtails yielding up superb fillets. 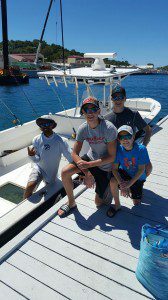 We’ve also fished the northside of the island as of late and have a couple spots producing big Kingfish and Blackfins with consistency. We hope you’ll get out on the water with us if you’re planning a visit to St. Thomas or St. John! 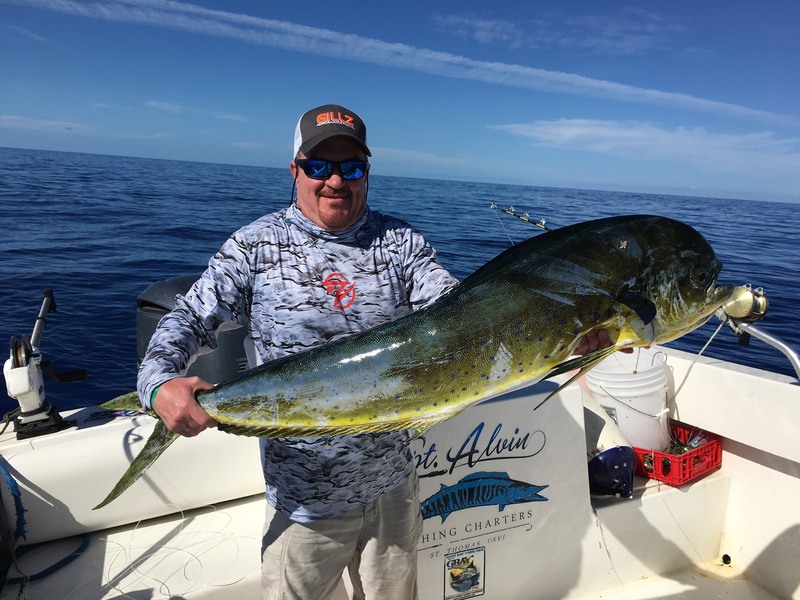 Our April/May/June offshore dates are filling up quickly so be sure to reach out to us if you’re looking to get in on the upcoming Yellowfin and Mahi action in the next couple of months!